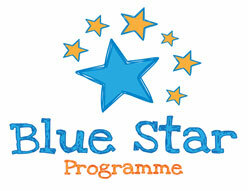 The Blue Star Programme is an educational initiative for primary school students across Ireland. The idea of the Programme is simple: to foster better understanding and knowledge of the European Union and how it affects the lives of Irish citizens among Irish primary pupils through classroom projects and activities.It aims to introduce participants (pupils, teachers, parents and the wider community) to the European Union; what it means and how it works. At the end of the year, we are required to submit a Final Report outlining how each of the four key elements of the programme (historical, geographical, cultural and creative, and Institutional) are explored over the course of the year. We will also host an event for Europe Day in the final term. It promises to be a very interesting project and we look forward to keeping you up to date throughout the year.